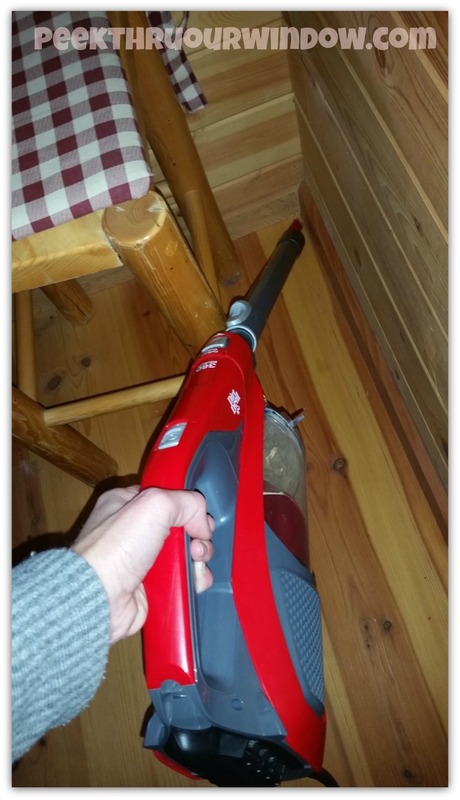 Recently, we had the chance to review a sucky vacuum. The Dirt Devil 360 Reach™ Bagless Stick Vacuum was so sucky, that I was easily swayed by its lightweight design and extended reach arm. I had been looking for a new cabin vacuum (now that we have solar power!) with more versatility, because of the tall ceilings and the bare floors. My current vacuum is geared towards carpet and I was getting tired of toting it back and forth. The Crevice Tool gets right in there! The Vac+Dust Tools capture heavy dirt and debris, while the SWIPES™ micro-pads eliminate all traces of dust. 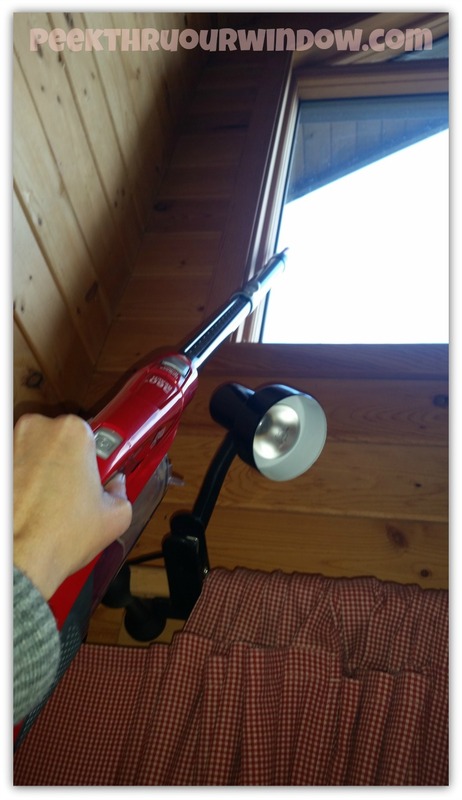 Snap on the 'Crevice Tool' and extend your cleaning reach to swipe dust and debris from book shelves, curtain rods, ceilings, cupboards, and everything below. The 'Pivoting Extension Tool' gives you precision and control when cleaning areas that are out of sight and reach. The 'Pivoting Extension Tool' helps give you control in those hard to reach places! We're loving the Dirt Devil 360 Reach™ Bagless Stick Vacuum! It's got the reach I need to get rid of cobwebs and dust high up, while still being lightweight and versatile for floors. The detachable hand vac is a complete bonus too, as it makes hard jobs like cleaning the car interior super easy! I also love that it packs up neat and tidy in its own handy bag. Note: While this is an awesome vacuum, do not mistaken it with something you should get your wife for Christmas. 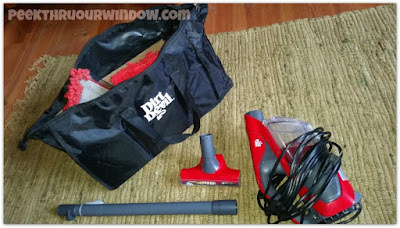 Just sayin'... but, if you are in the market for a multi-use vacuum, this Dirt Devil is tops!